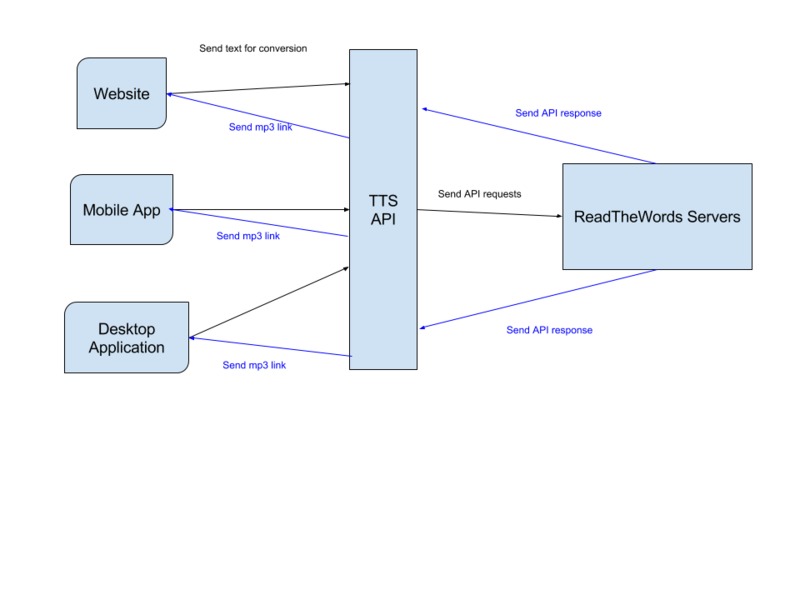 Use the ReadTheWords Text To Speech engine to power your website or mobile app. For years, ReadTheWords has been providing industrial strength text to speech services to end users. Now the same service is available to online businesses, website owners and developers who need text to speech capabilities for their business or software. We offer UNLIMITED usage in all packages and provide extremely reasonable pricing. Male and female voices in English, French and Spanish. Simple and universally usable HTTP based API. Free package with Unlimited usage available to try out the service. Full documentation with code samples available. Get your free API key instantly on signup and start using the API.